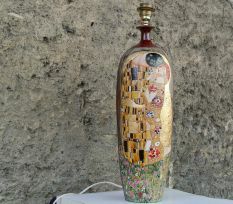 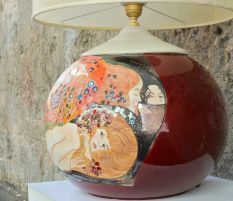 Ceramic table lamp, complete with electrical system (no lampshade), handmade on the lathe, glazed and hand-painted. 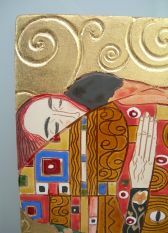 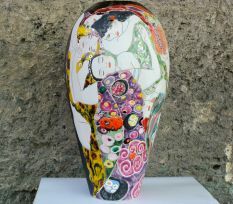 Depicting the opera "Death and Life" by the artist Klimt and glazed in opaque black, it is performed using a mixed technique and colored glazes. 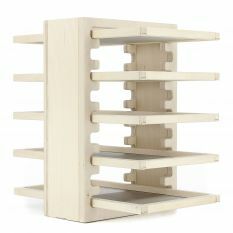 Its important scenic presence makes it a beautiful piece of furniture for different environments, from the living room to the bedroom.